The 2018 iPad Pro is expected to be the first tablet with Face ID. 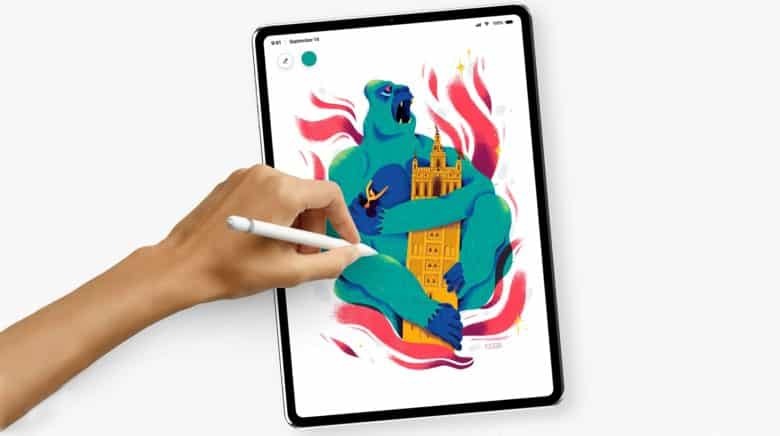 Currently, this facial recognition system only works in portrait mode, and Macotakara is reporting that Apple will move the Smart Connector from the side of the iPad to the bottom edge so users can type while their device is in portrait mode. Otherwise, whenever they needed Face ID they’d have to pick their device up and rotate it. If this unconfirmed report is true, then keyboards employing the Smart Connector, including Apple’s own, won’t work in landscape mode, the way most people are accustomed to using their computer. The keyboards would also have to shrink substantially. Earlier rumors indicated iOS 12 will bring horizontal support to Face ID, which would obviate the need for this change. Which report is true is unknown at this point. Replacing Touch ID with Face ID is expected to be the driving force for many other changes in the 2018 iPad Pro. It will allow the Home button to be eliminated, enabling Apple to make the device smaller. The current 12.9-inch version is 12.0 by 8.7 by 0.27 inches (306 by 221 by 7.0 mm). The upcoming version will be 11.0 by 8.5 by 0.25 inches (280 by 215 by 6.4 mm) according to Macotakara‘s source. If this report is correct, these charges will require Apple to resize most of the accessories designed for the iPad Pro line, including the Smart Keyboard. But moving the Smart Connector would require that anyway. Some are hoping that Apple will instead leave the overall dimensions of its tablets alone and put in larger screens. An 11.9-inch display could fit into the same size casing as the current 10.5-inch model if Apple removes the Home button. Unconfirmed reports point to the 2018 iPad Pro launching this fall, about 18 months after the debut of the current versions. Prices for the smaller and larger versions are likely to remain unchanged, starting at $649 and $799, respectively. Both versions are expected to use a version of the Apple A12 processor that will debut in the 2018 iPhone models.